I have been in Bali for 5 days, and I must say I am taking things lovely and slow. Four out of five days have been spend mooching by the pool, reading, swimming and enjoying the rays of sunshine. Eventhough it is the rainy season I must say the majority of the days have been dry however very humid. But I cannot complain about this as it is currently very cold and snowy in the Netherlands. Therefore you will be all very pleased that todays post is not to describe what I have not been doing, but what I did in Bali. I booked with another couple a private tour to visit some places in the North of Bali. And have listed them below for your reading entertainment. 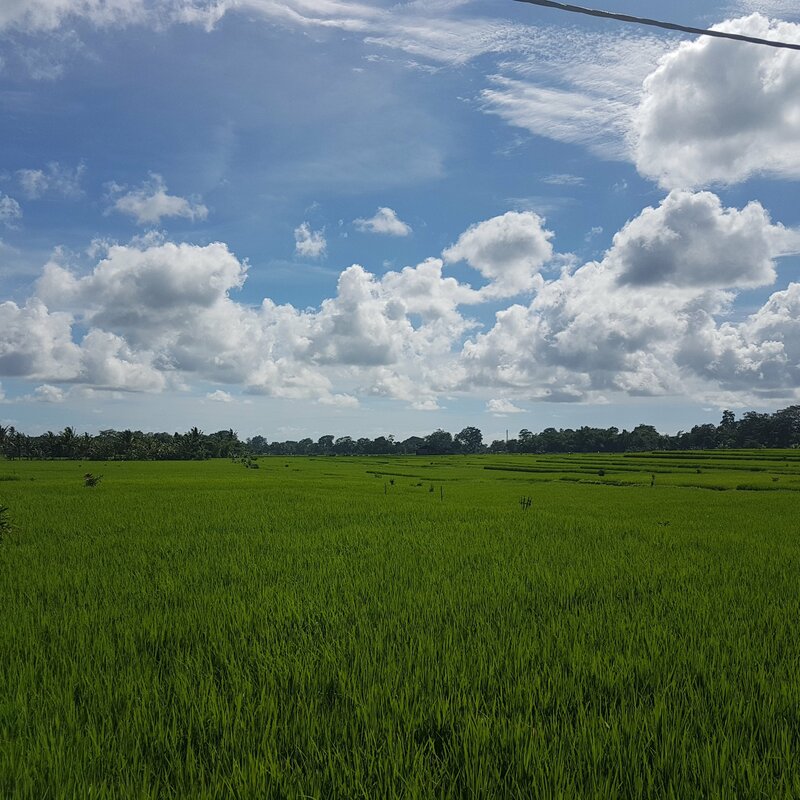 Jaliwatuh – When visiting Bali it is enivitable not to visit the rice fields. You are being surounded by the teraces and a lot of green. I saw the rice destinated for Bali and for Thailand use. It is very peaceful to walk around these fields and check out all the greenery surounding you. Local Fruit Market – Seeing all the fruit and spices layed out, was like seeing a beautiful canvas. All those colors work so well together. 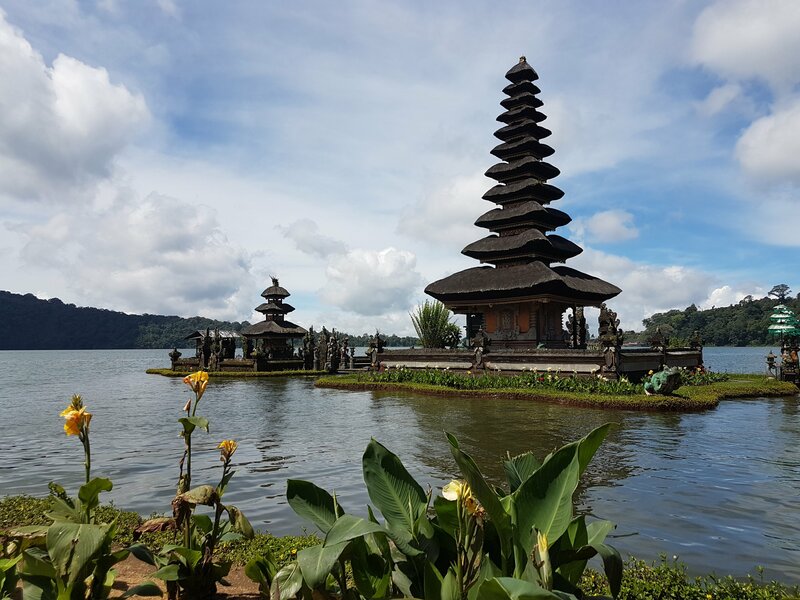 Pura Ulun Danu Bratan – Currently this is still my favorite temple in Bali. It is so beautiful and peaceful at this temple. The temple is surounded by a beautiful lake. If you are in Bali I would definitely recommend visiting this temple. 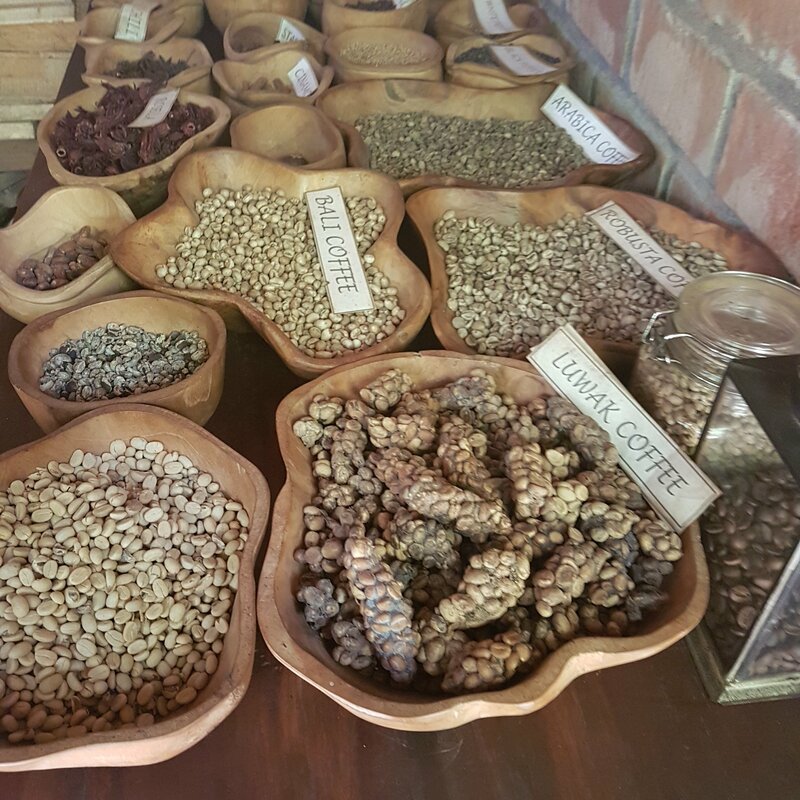 Coffee Farm – I must say this was the nicest coffee farm I have visited in Bali. And experienced my first tasting of the Luwak coffee. Monkey Forest– Unfortunately I am not sure where this forest was. All I know is that I did not enjoy this one as much as the Ubud one. I found this one very commercial as there were shops on the premises and the tour was very short. I must confess I did enjoy feeding the monkey. 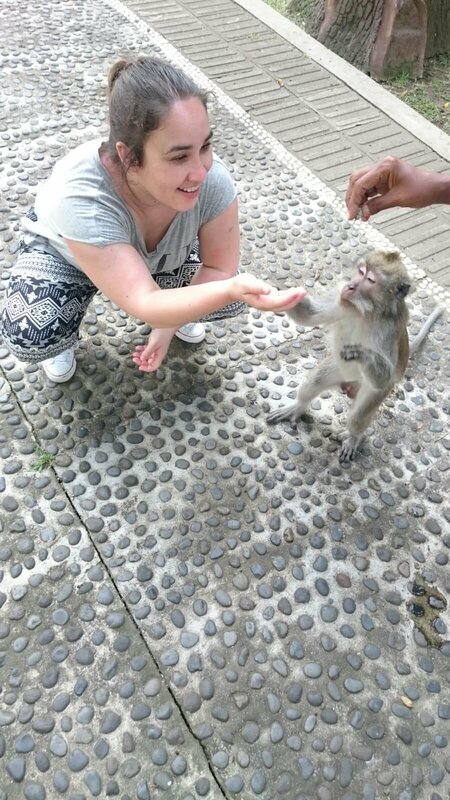 I always thought these monkies were quite hostile but the one I fed was very sweet. And that little hand of the monkey felt so soft. 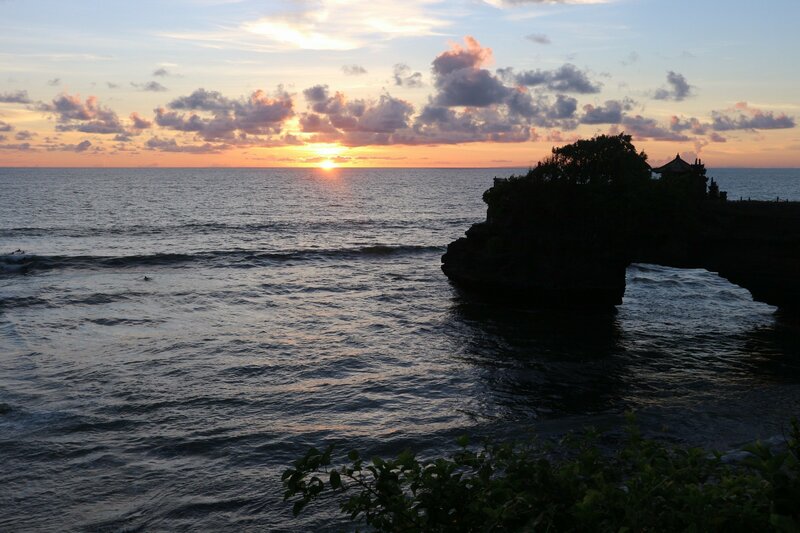 Tanah Lot – This temple was one of my main reasons to return to Bali. I was really curious about the unique positioning of the temple, as the temple is build on a giant rock. Also you can experience a beautiful sunset if you are lucky. I must say it did not disapoint. I hope you enjoyed reading this post and if you are curious about my other posts feel free to browse around.